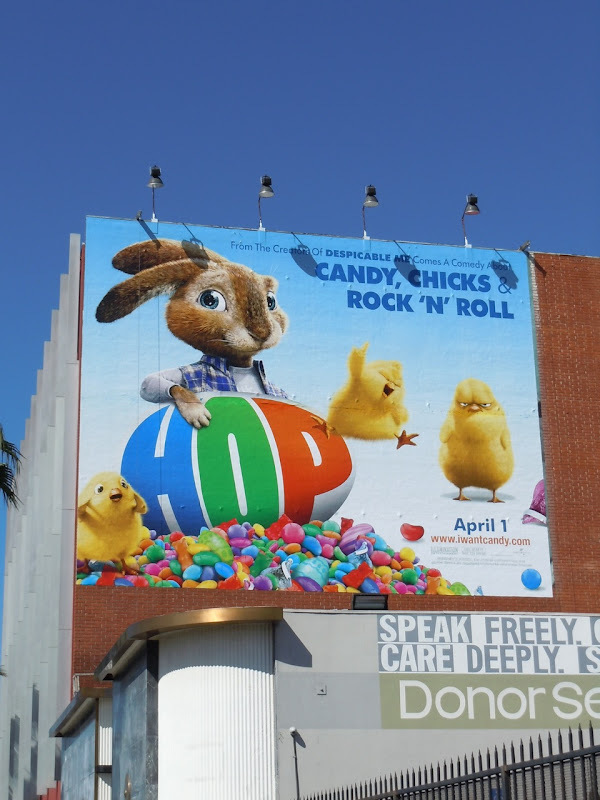 Daily Billboard loves these colourful billboards for the Easter themed movie Hop. 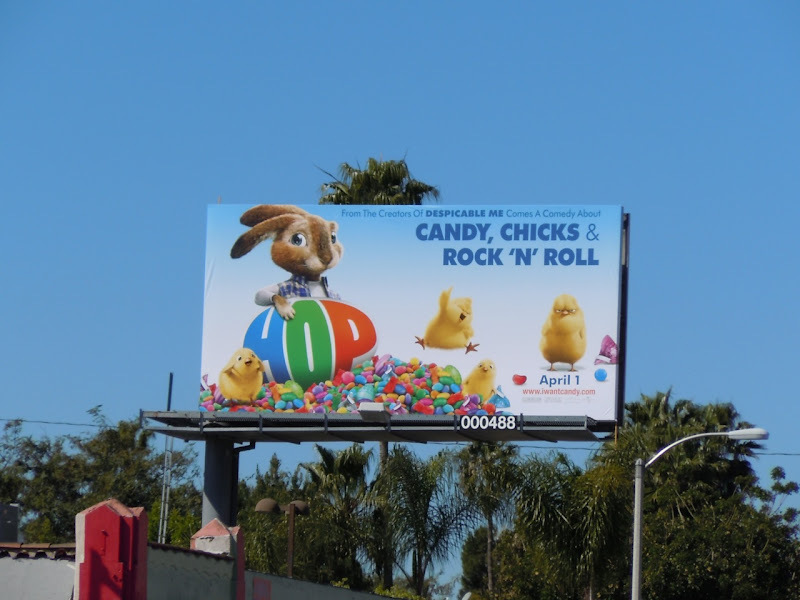 The movie looks like a lot fun with a mix of computer-animation and live-action, think the Alvin and the Chipmunks movies (but hopefully without the helium high-pitched voices). 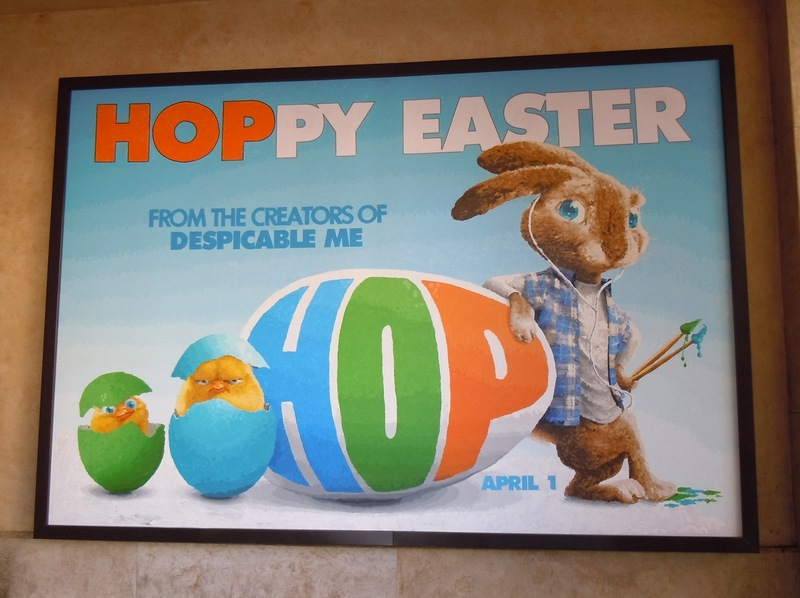 Here's also a bonus 'Hoppy Easter' wall mural snapped at The Grove shopping centre. 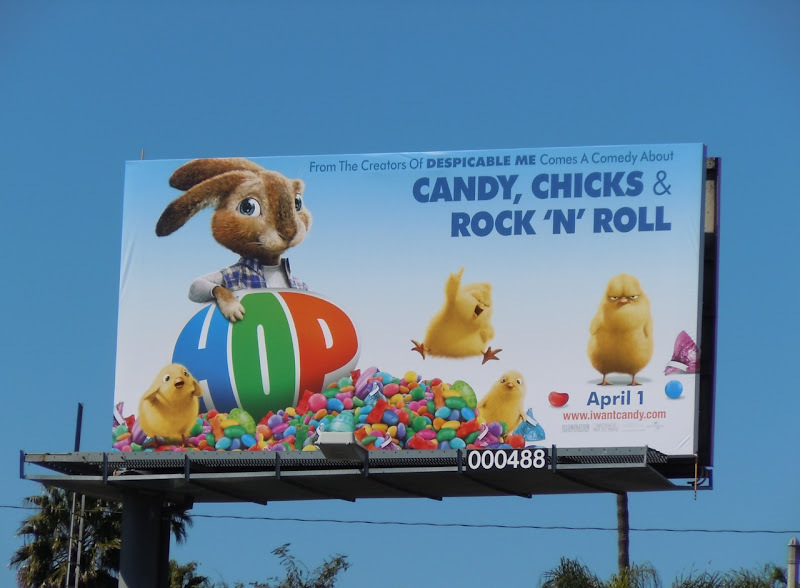 If you like these witty creatives be sure to also check out this earlier Hop teaser billboard and Valentine's Day themed Hop billboard. 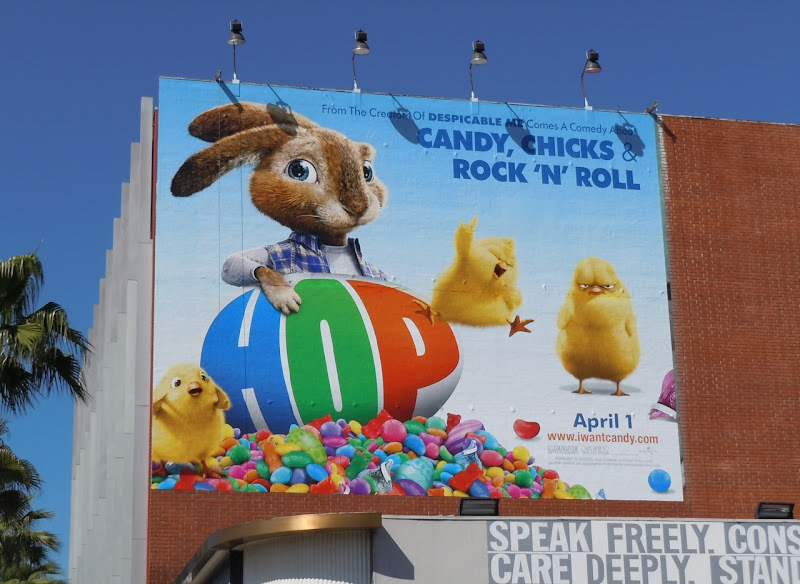 This large wall version was photographed along Sunset Boulevard and the smaller creative snapped at Fountain and La Brea Avenues on March 10, 2011.